Roz Paterson was raising money for cancer treatment in the US when NHS England stepped in. A Scots mum who launched a crowdfunding campaign to raise money for life-saving cancer treatment is to receive it on the NHS in England. Mum-of-two Roz Paterson, from Beauly in the Highlands, is going to refund everybody who donated to her £320,000 crowdfunder - or donate it to cancer causes. Roz, 52, was given "months, maybe weeks" to live when she was diagnosed with an aggressive form of blood cancer. Since then, it has failed to respond to four different kinds of chemotherapy. After setting her sights on Car-T Cell Therapy in the US, Roz launched a GoFundMe page with the target of £500,000. Since launching the campaign two weeks ago she has raised more than £323,000. 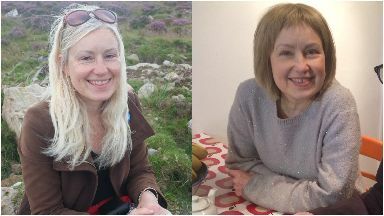 "It is an amazing sort of therapy, cancer researchers are talking about it being a game-changer, saying in the future we won't have chemo, we will have immunotherapy," she told STV News. "It is like science-fiction; they harvest T-cells and attach things to them, then replace the T-cells in your body and they instruct the cancer cells to die." In a blog posted last night, Roz said, "like magic", she will be now receiving the treatment at King's College Hospital in London, with the first consultation taking place on Friday. 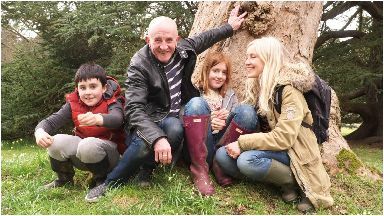 The news has been celebrated by her husband Malcolm, 63, and children Thea, 13 and David, 10. She wrote: "Last week, I was wondering how we were going to make it in time. The fundraising is going great, beyond my wildest dreams. "£320,000 and climbing, but there's still a way to go, and what if I get ill after treatment in Boston? "What if, to be brutal, I don't make it through the treatment? And Malcolm, in a foreign city, with two children. "But don't need to think about that. Something just happened, and like a magic wand, it changes everything. "I'm 90% sure, I'm as sure as sure can be without actually having to make the oath in court, that NHS Scotland have approved the funding for my treatment. "The ink's not dry, I don't have the letter in my sweaty little mitt quite yet...but it sure looks good, folks." 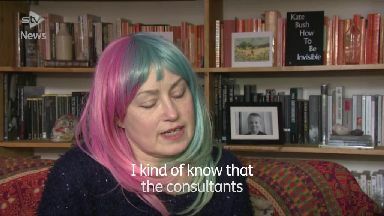 Roz praised her Scottish consultants for working hard to secure treatment for her over the border. She wrote: "Their persistence has paid off. Thanks to the Haematology team at Raigmore (Hospital in Inverness), led by Dr Peter Forsyth, and NHS Highland, and a little extra shove from Dr Annie Latif in Glasgow, it looks like Boston's off. Hello England! "All this goodwill, support, kindness, creativity, just plain old fun and niceness, has clearly not gone unnoticed by my immune system, which is now so flooded with endorphins, that I feel really great! " Roz added that she would automatically refund everyone who contributed via GoFundMe and that all the other funds raised would be split between four Highland cancer charities - Highland Hospice, MacMillan, Maggie's Centre and Marie Curie.